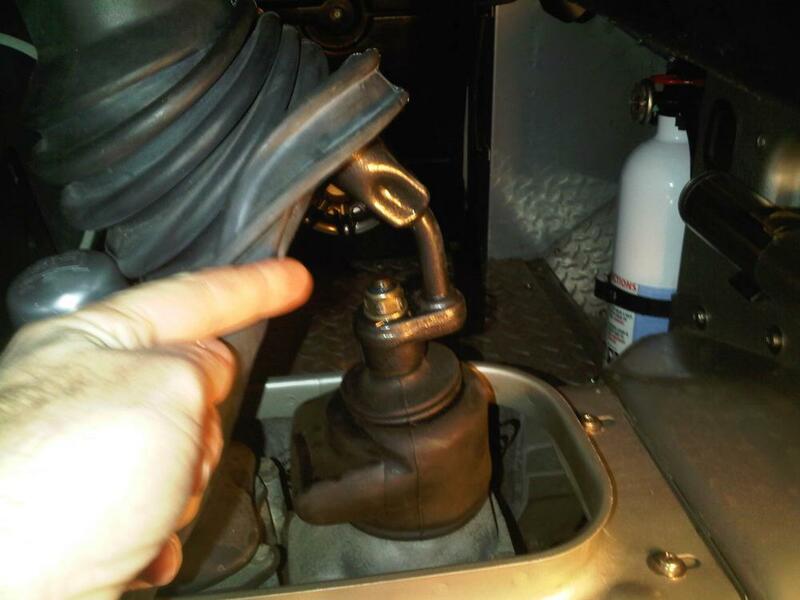 Land Rover Forums : Land Rover and Range Rover Forum > Land Rover Model Forums > Hybrid > gear shift rod - angle mod help ? gear shift rod - angle mod help ? 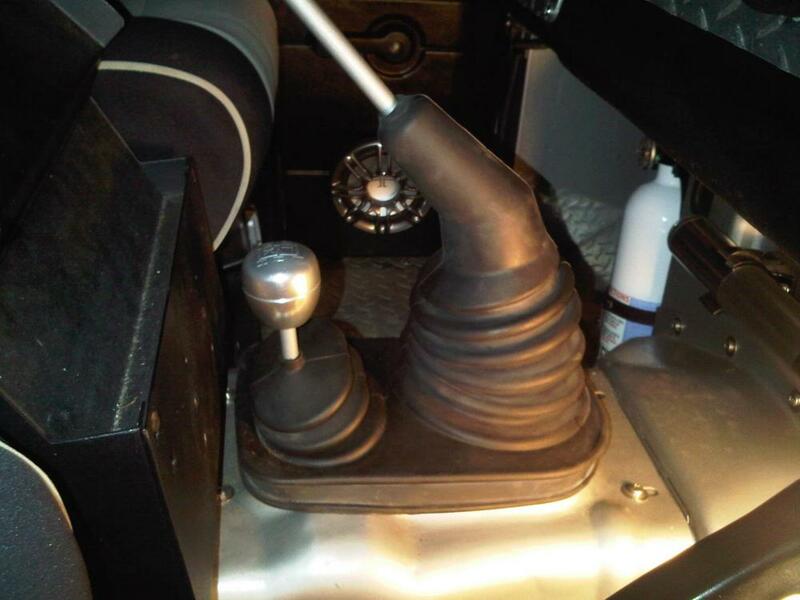 I have a LT77 gearbox on a RHD of a hybrid mod, and the shift lever essentially is straight vertical to the knob. Problem is the Reverse on this is up and the left (by 1st), and I almost need to lean to get it into R, and there is not a natural / easy feel even to slide to 1st due to the reach required. 1999 Range RIP - End over end 2.5 times ! I thought I could move the gearshift lever on it [LT77 'box], by undoing the Lock nut which holds the gearshift lever to the top of the selector mechanism, lifting up the gearshift lever from its mounting splines and repositioning it so that the knob was nearer to the steering wheel. ...My theory anyway.. but the nut at the top is super tight, I can't loosen, at least not with a small hand wrench as it just strips the nut and doesn't loosen for some reason... I hit it with WD40 and I'll wait, but seems way too tight. Any chance that is a reverse thread on these ?